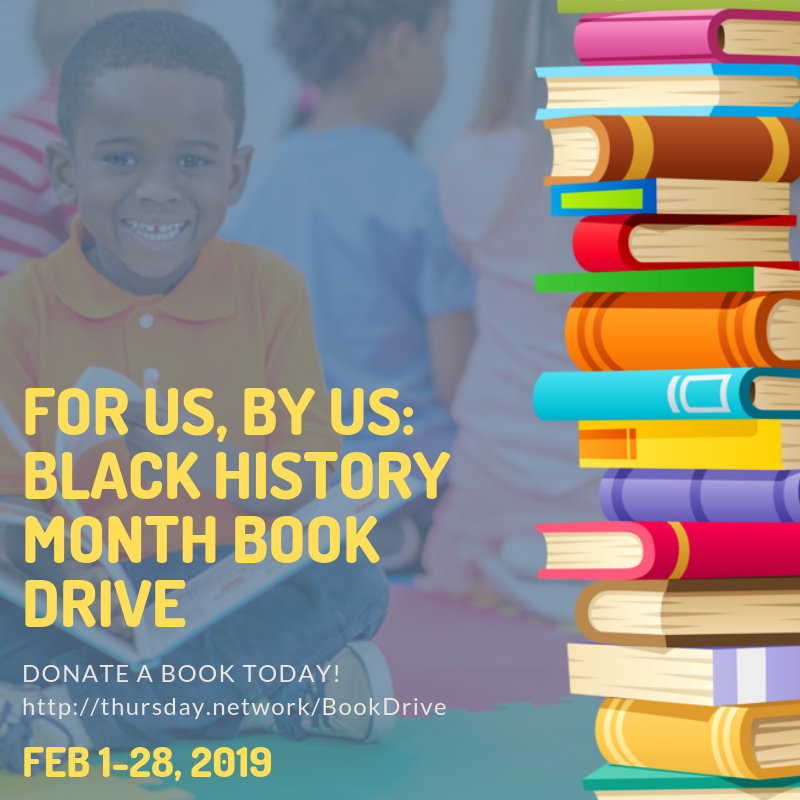 During the month of February, Thursday Network will host the For Us, By Us: Black History Month Book Drive to provide new books, written by people of color, to young people in our service area. All books or monetary donations to purchase books will provide students with literature featuring characters that look like them, Black history, and or culture. Books donated during this drive will be donated to local elementary and middle school students.